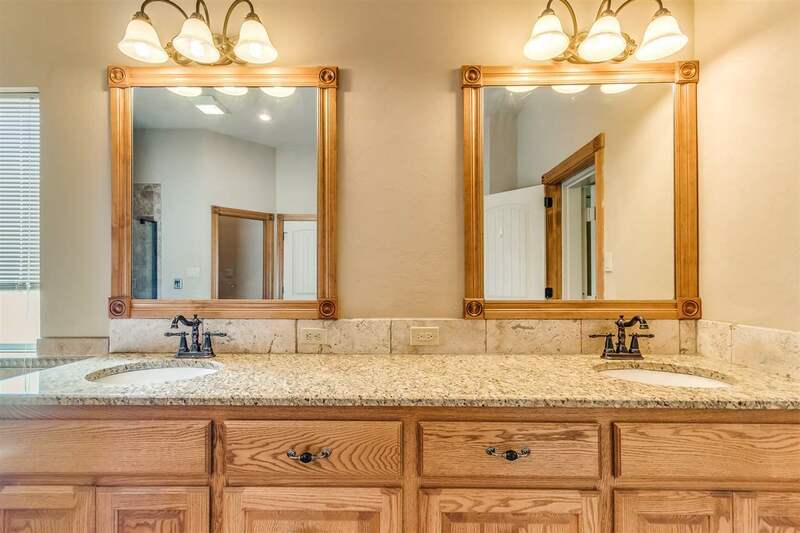 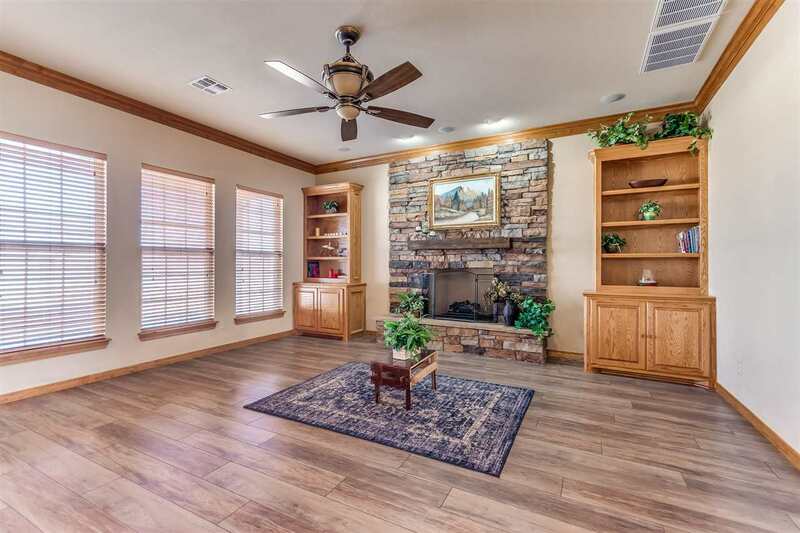 Absolutely stunning 5 bedroom Dream Home in the gated Shelter Lakes. More than 5 bedrooms, 2 living areas, and a 3 car garage. 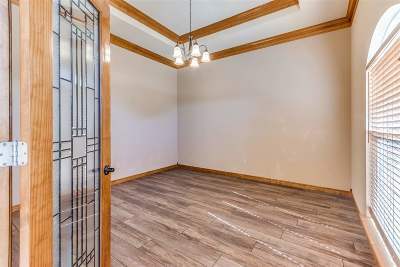 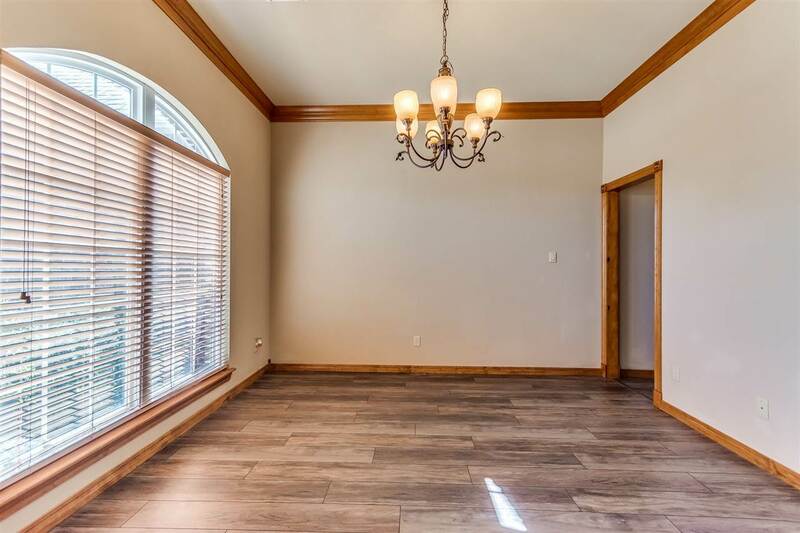 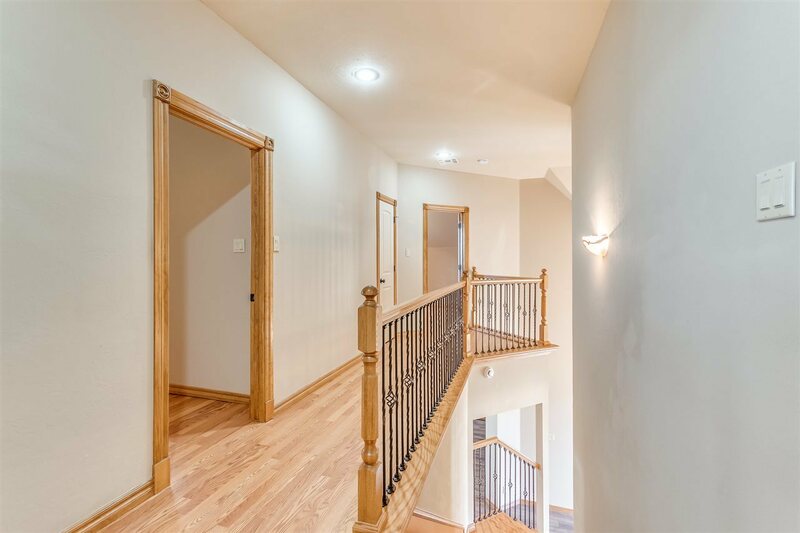 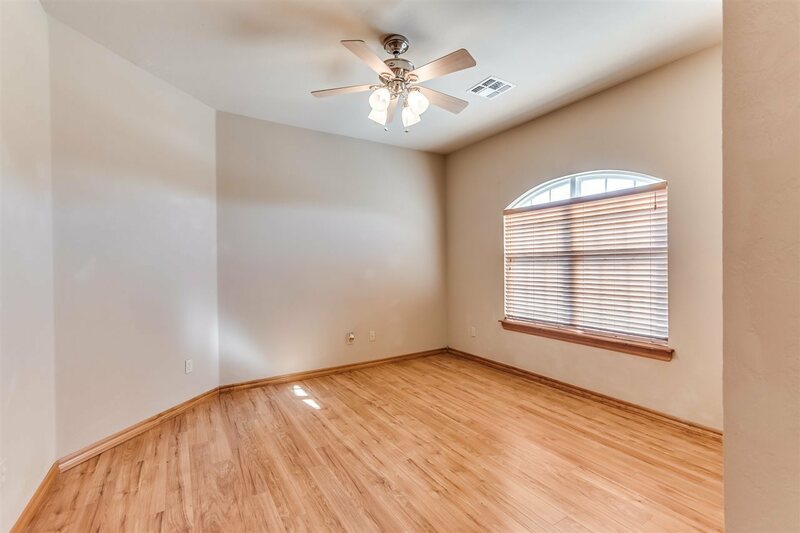 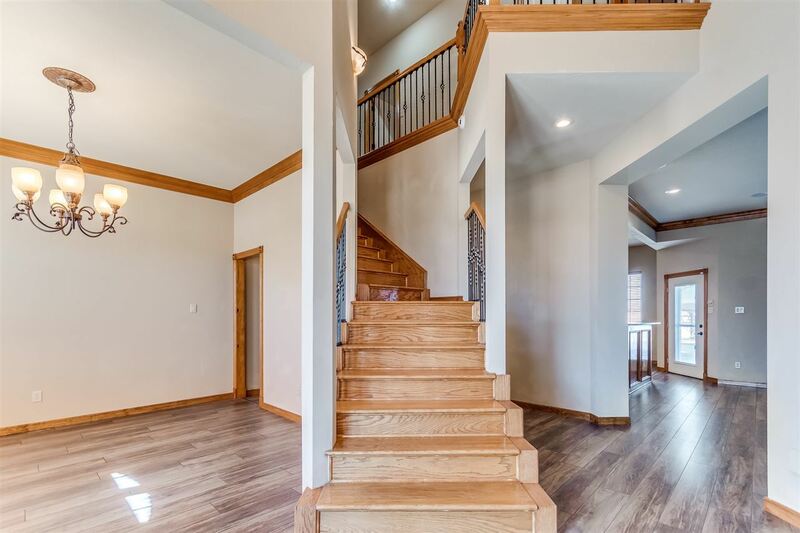 With custom wood flooring throughout, a formal dining room, and a den with beautiful fireplace leave any homeowner feeling as if they are at a vacation resort. 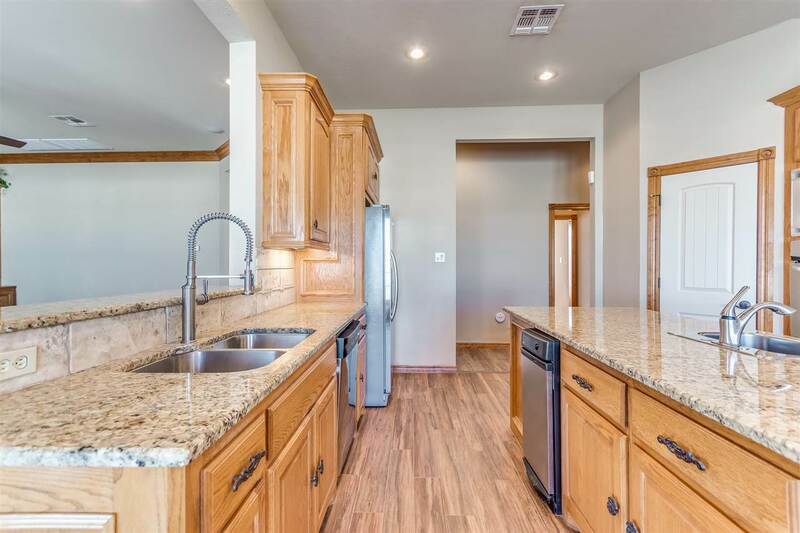 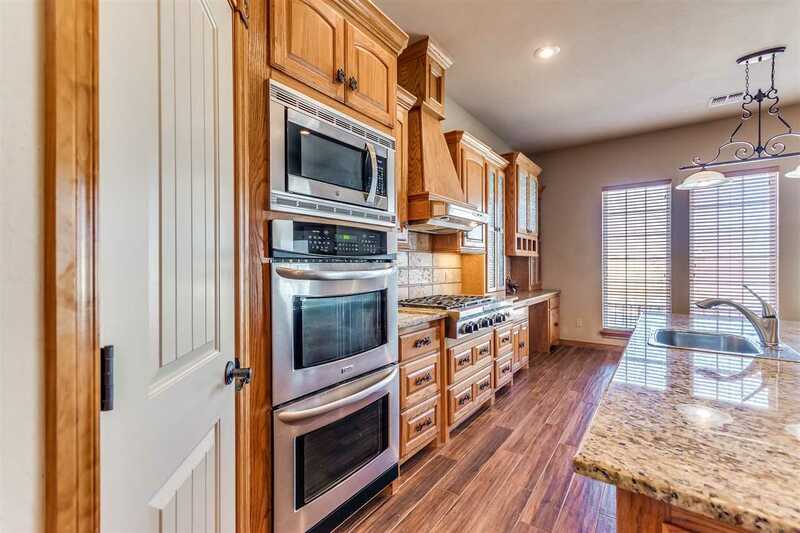 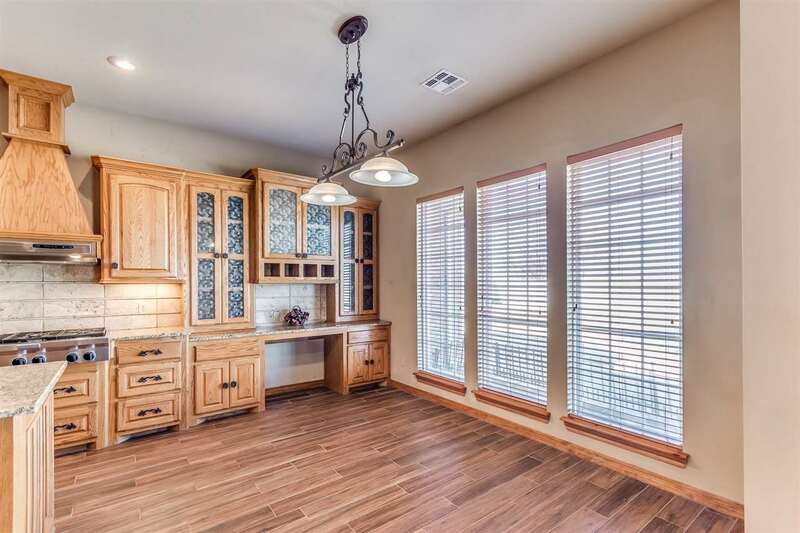 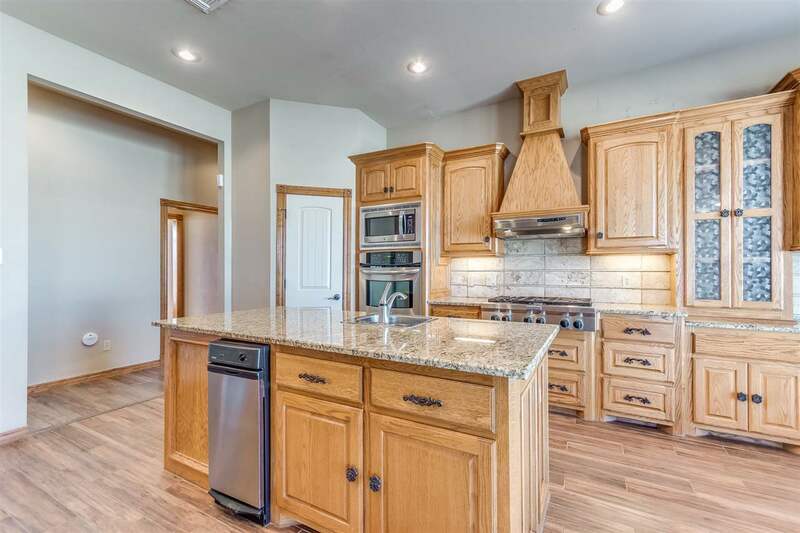 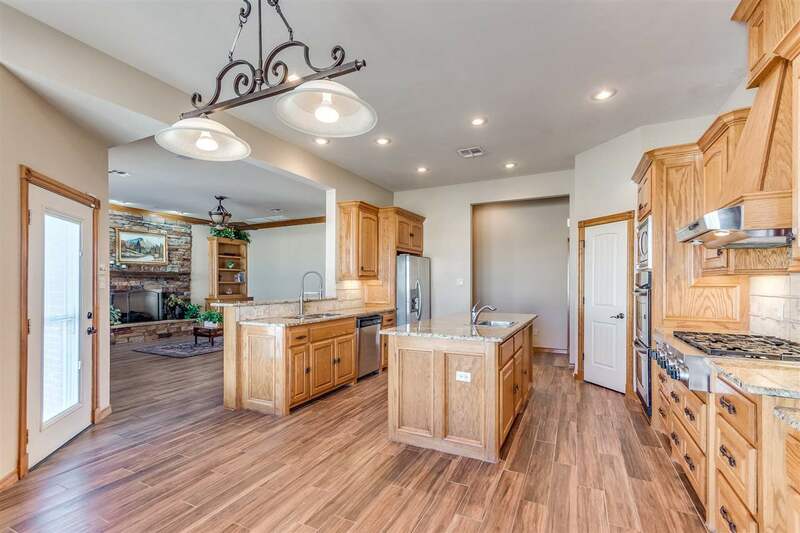 This home boasts a gourmet kitchen with custom cabinets, stainless steel appliances, gas stove, granite countertops, and a breakfast bar. 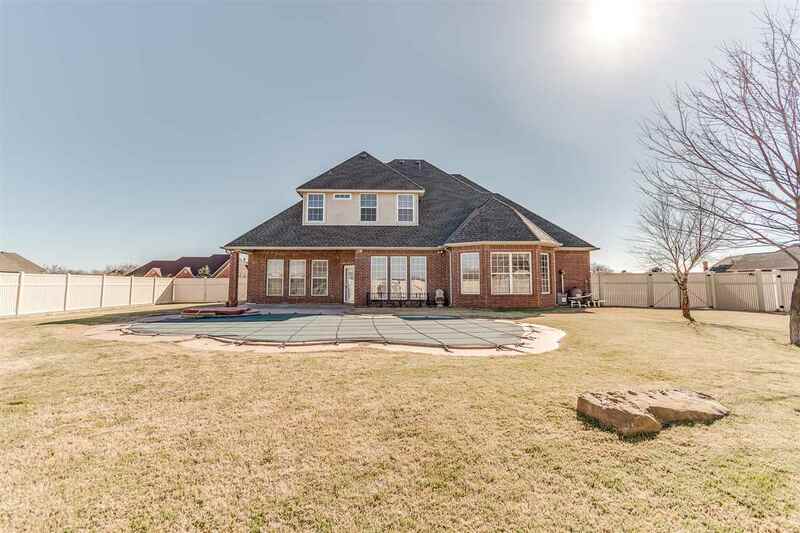 The house has Surround sound interior & exterior, which helps while swimming in the inground pool with jacuzzi. 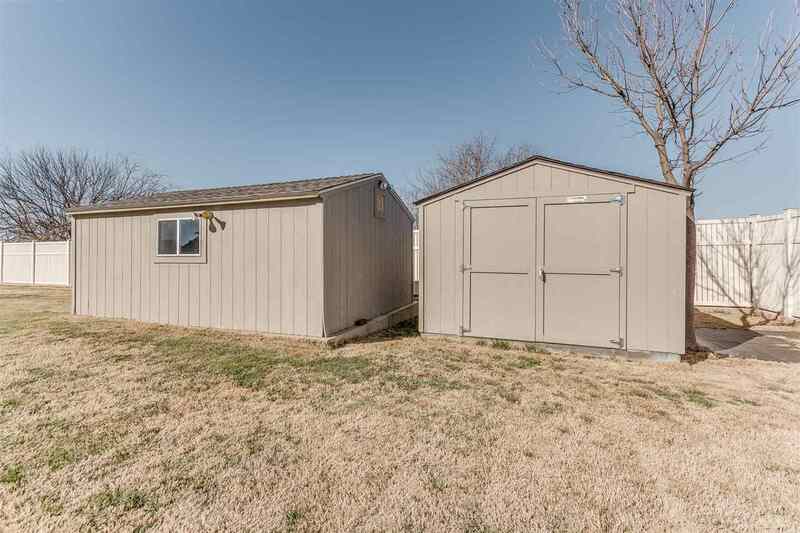 The oversized workshop with electrical on concrete slab can be used for anything and has an additional storage shed. 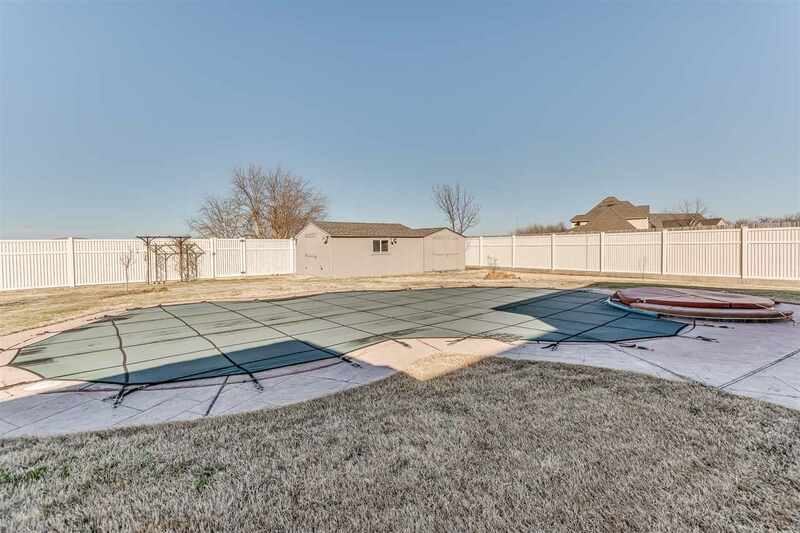 Maintenance free high quality Vinyl fencing with concrete base all the way around backyard and a sprinkler system on front & backyard help maintain the elegance of this Estate. 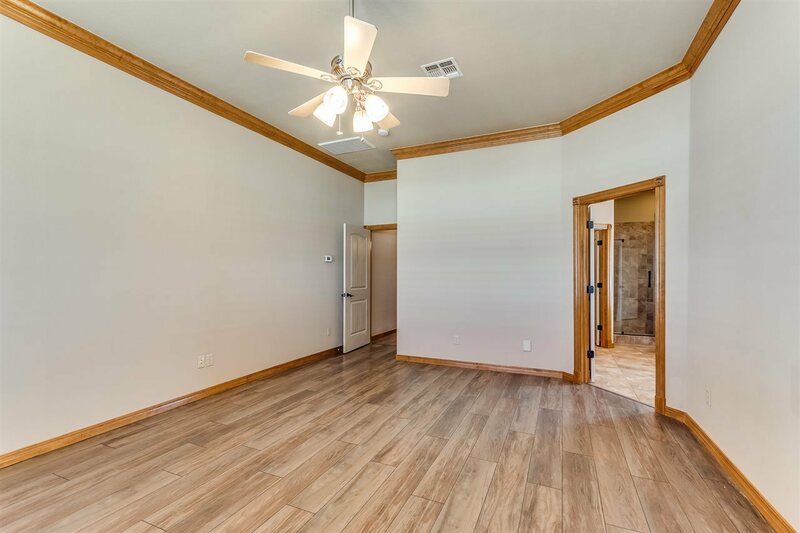 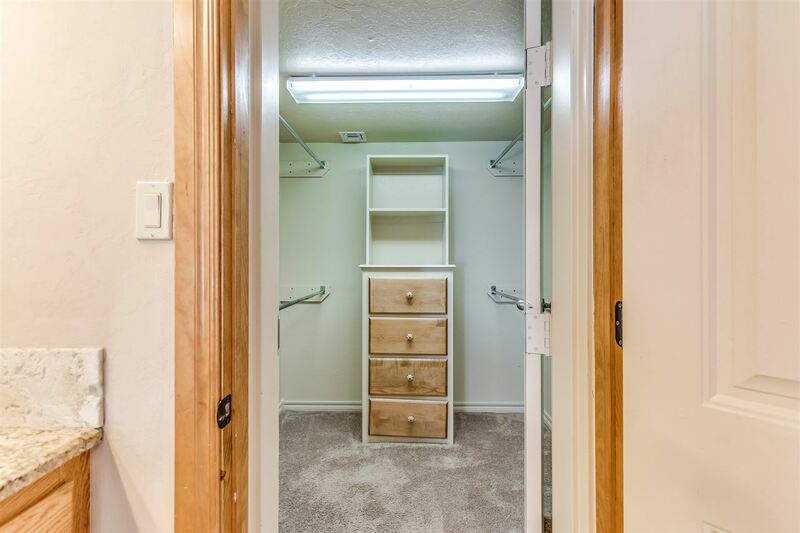 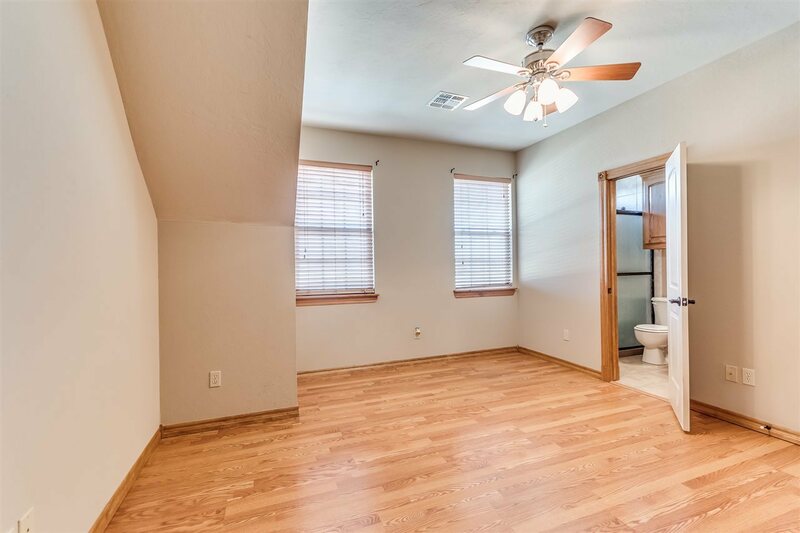 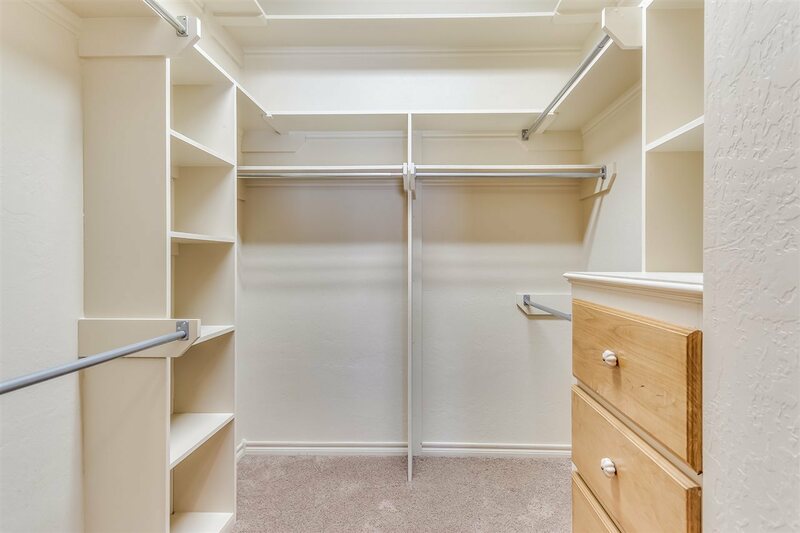 As a few bonus features you will have a Backup Generator, tankless hot water heater, a spacious floored attic and a Safe Room. 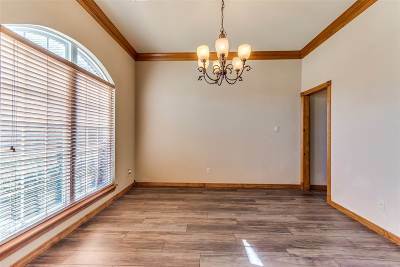 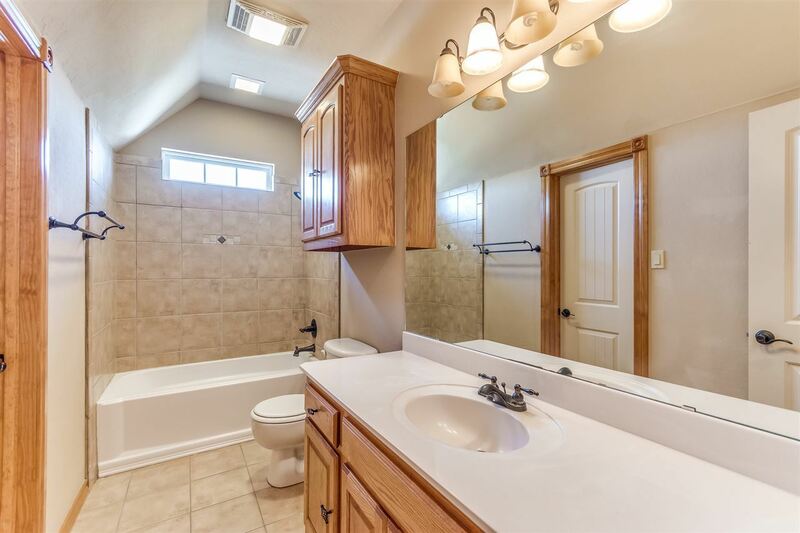 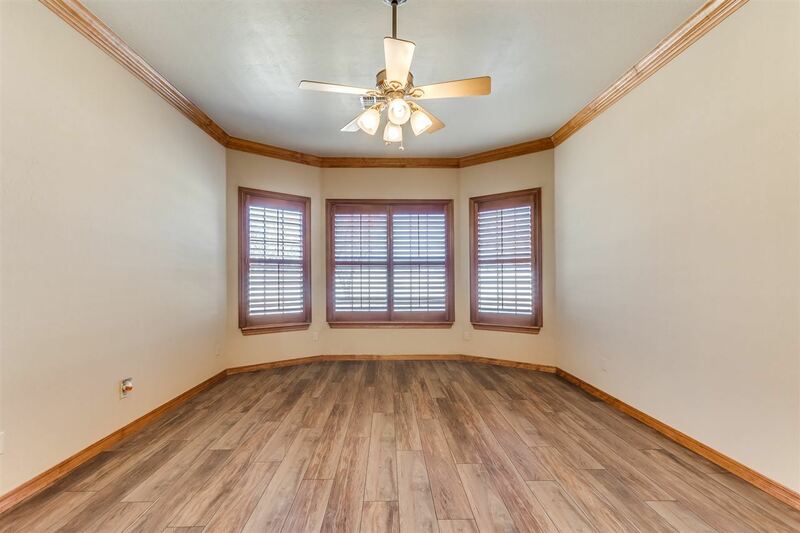 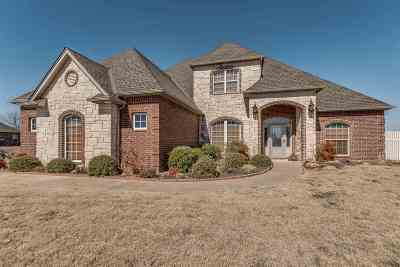 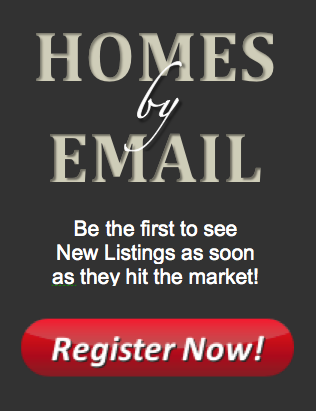 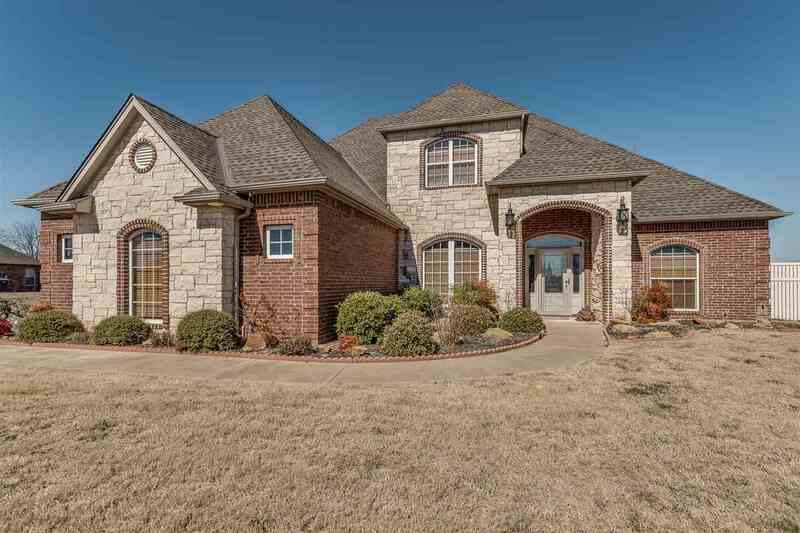 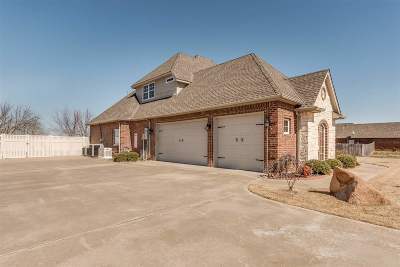 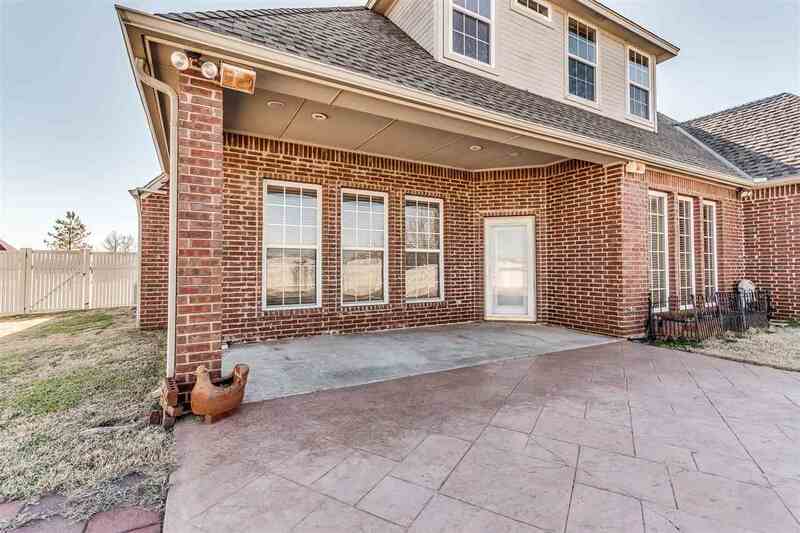 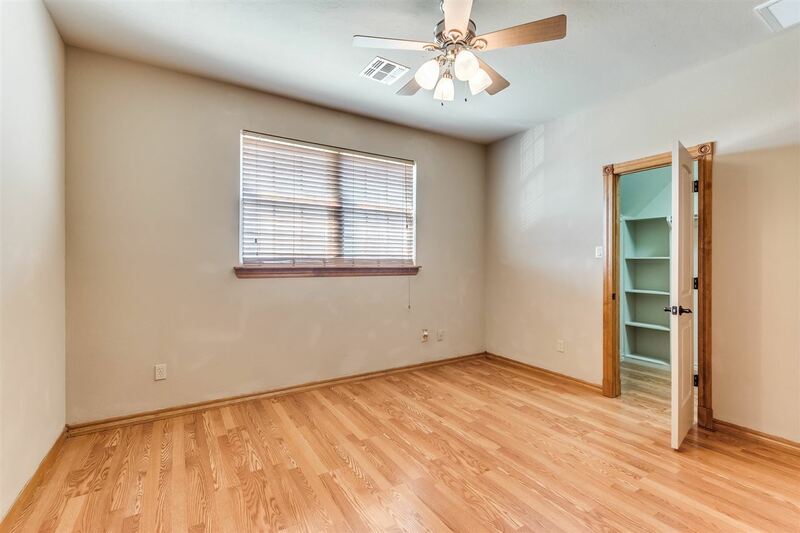 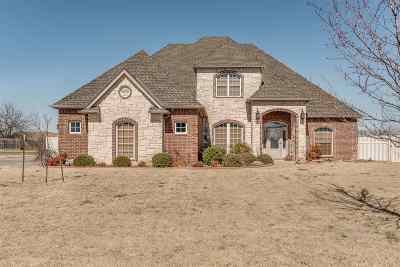 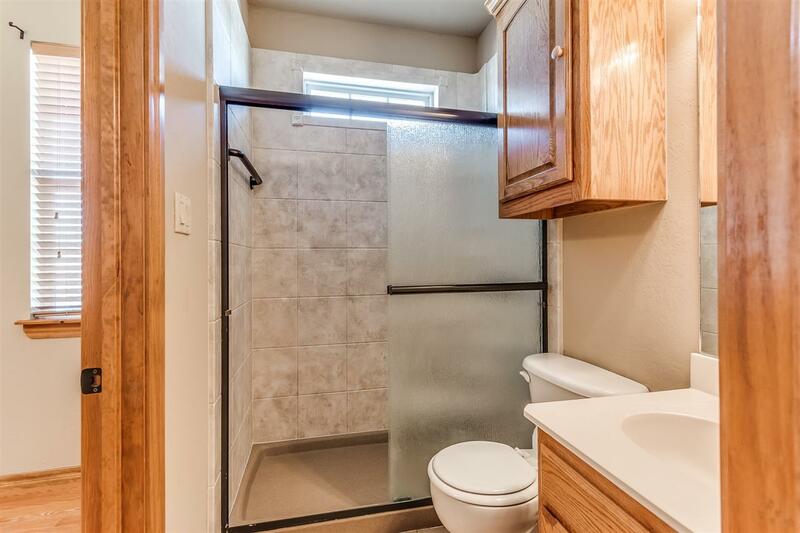 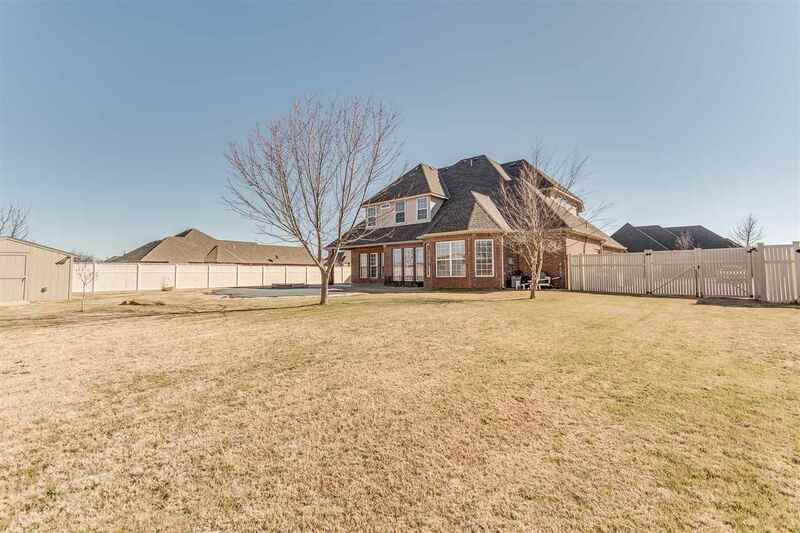 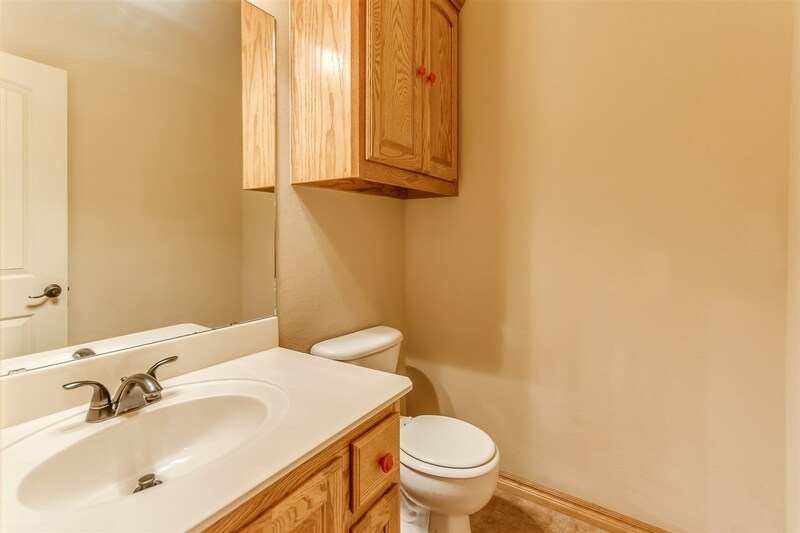 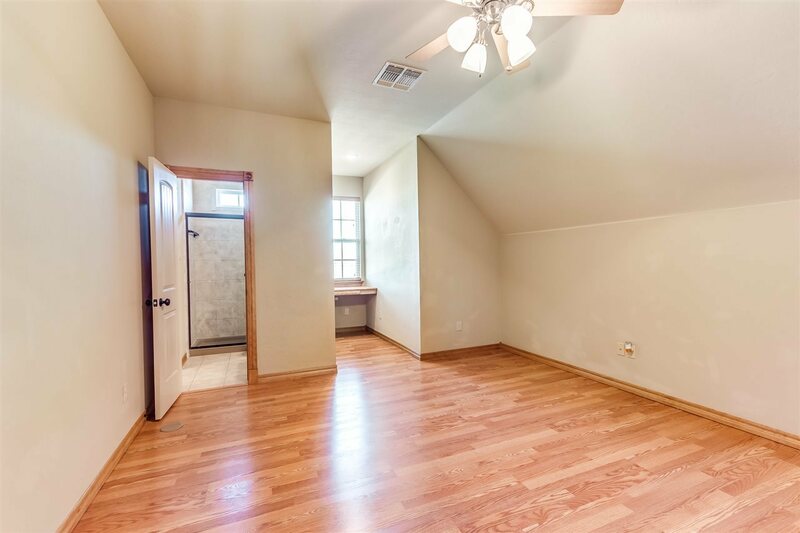 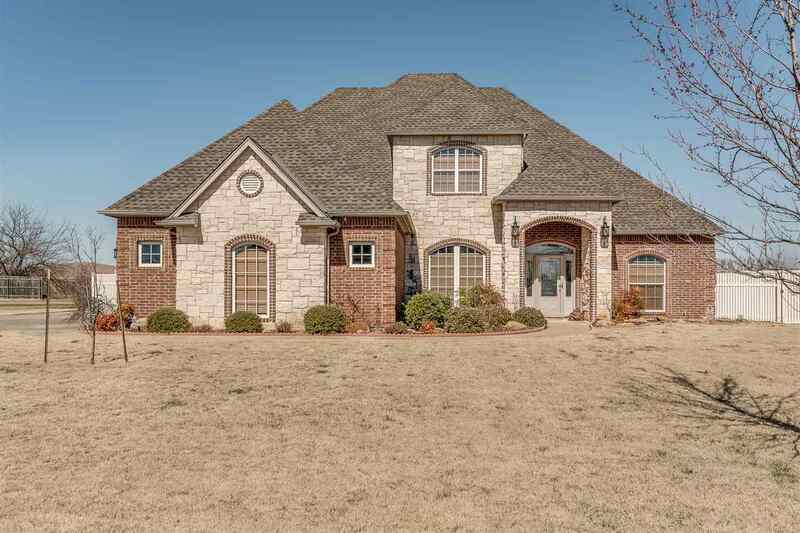 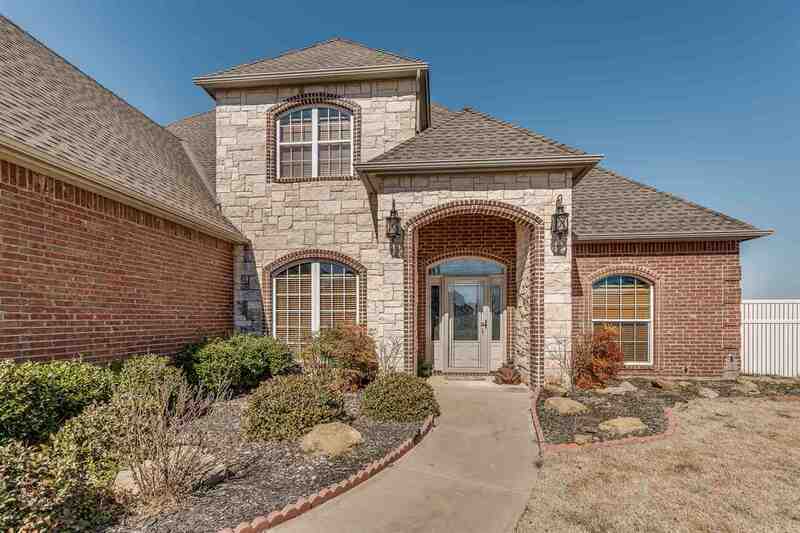 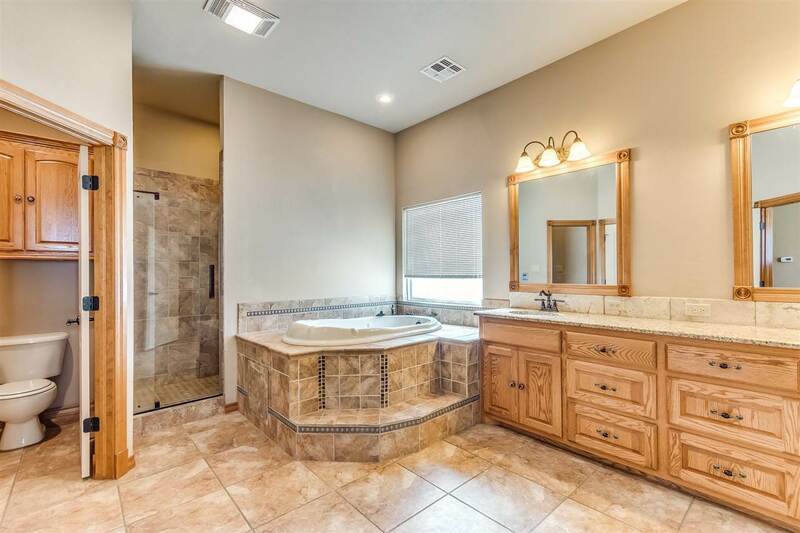 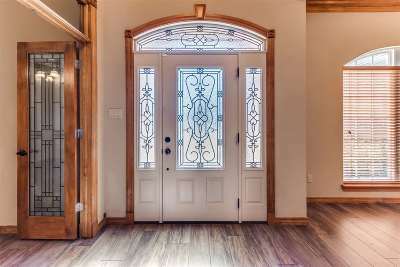 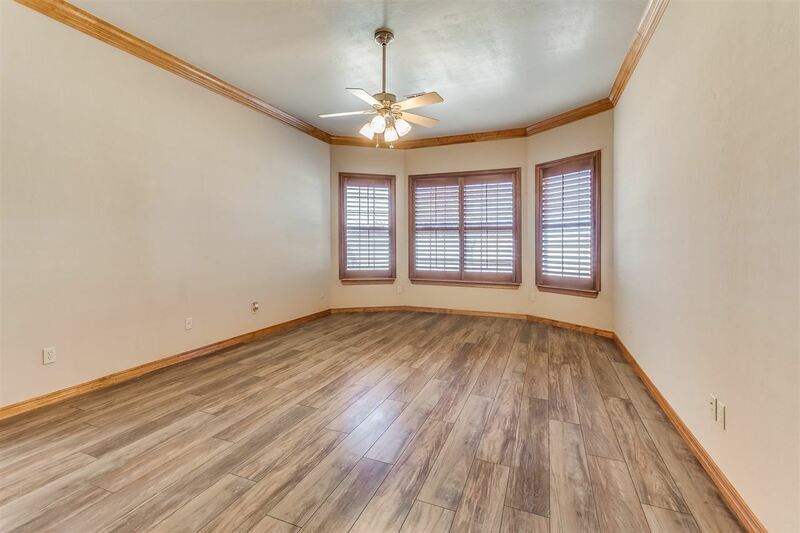 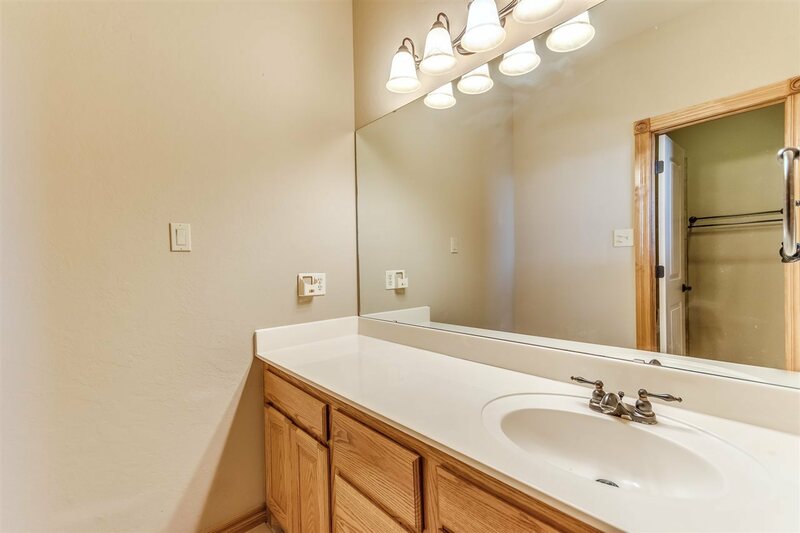 Call Trent, 817-648-8736 for a Private showing today!